I could not put this book down but I can’t tell you why. The language was positively lyrical, however the story was unsatisfying. It wasn’t helped by having at least nine different points of view, time jumping, and massive amounts of internal conflict rather than external action. If I considered myself a literary critic instead of a mere book lover, I might have had much stronger positive feelings about this writer’s debut novel. Unfortunately, I’m shallower than that. The biggest problem was that I couldn’t accept the premise the storytelling centered upon (which I can’t reveal here without spoiling everything). In addition, the horrific events described in this novel (they all happen “off camera”) are all unresolved mysteries — you might learn who, but never understand why. Guilt, remorse, escape, and the impossibility of redemption are all recurring themes, thoughtfully treated. There are moments of exceptional tenderness between characters. Knowledge — both for the reader and the characters — is revealed in an intriguing, compelling way. But for all that, it just didn’t satisfy. Ann marries Wade and they live on a remote mountain. He experienced a tragedy that completely removed his wife and two daughters from his life; and he has removed every physical trace of them from his present. Ann is obsessed with learning more about them and what exactly happened yet doesn’t want to upset Wade with questions. Preston’s non-fiction account of the finding and first excavations of a “lost” major Pre-Columbian city in Honduras is gripping and enlightening beyond it’s archeological content. 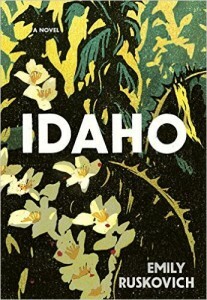 New uses for modern technology, the fallout from professional infighting, dangerous diseases and how climate change aids their spread are all part of this engrossing book. Douglas Preston didn’t just write about this adventure — he lived it. He was in the air with the team using top-secret lidar technology to locate the cities that might be (probably are) the inspiration of countless legends. He was part of the first group of feet-on-the-ground explorers — helicoptered into a dense, untouched jungle rife with poisonous snakes and hungry insects. His first-person involvement adds even more grit to a tale that already has plenty of drama. Since Preston is a best-selling thriller writer, he knows how to keep you turning those pages. He brings that expertise to his non-fiction writing as well (try The Monster of Florence, where simple book research turns him into a murder suspect!). It’s all true and well documented, but it’s written with adventure-novel energy and excitement. For centuries there have been legends about a spectacular city hidden deep in the Honduran jungles. Many have tried — and even claimed — to find it. 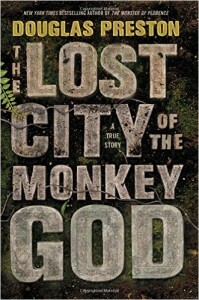 The latest man to make finding this city his goal , Steve Elkins, went to extraordinary lengths to achieve success –and Douglas Preston was with him all along the way. 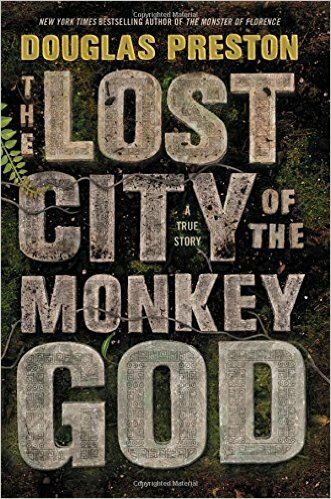 Douglas Preston shares his website with his frequent fiction co-author, Lincoln Child; but you can also learn about this book and other solo efforts by clicking here.